Yes please. Lets meet up next time you are on the island for a coffee (or detox tea) and chat about the plans for your big day. If we cannot meet up then lets talk on the phone or Skype. We also meet for a quick check-in a couple of days before your wedding (you guys are going to be super busy) but it is really just to say hi and make sure everything we have previously discussed is still on track. Although it really does depend on the package that you get, but generally the photographer for the day will be either Stu or Ang, depending on what is going on. We can’t really promise who it will be when you book as most likely it is a year or so away, and usually the other one will pop in to help out because we just love shooting weddings together and hanging out with our cool couples. 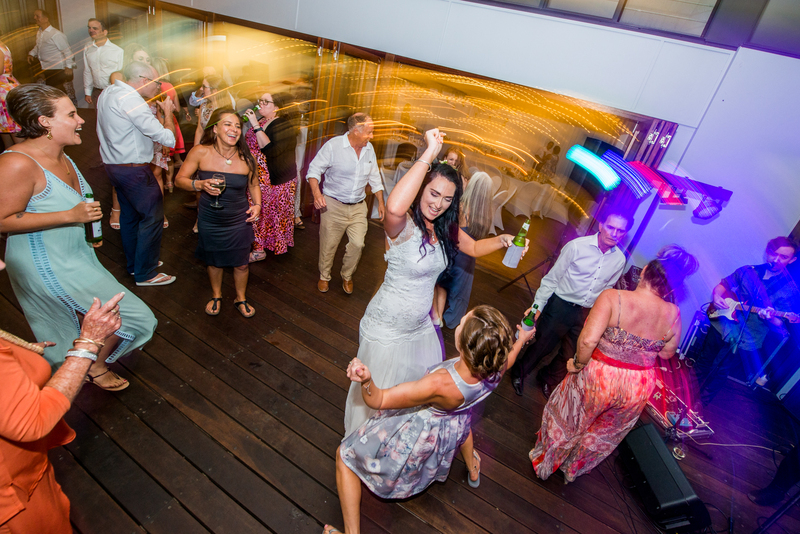 Ang and Stu have both covered so many weddings on the island that it has become second nature to know where to go and what to do, while getting the very best out of the bridal party and the island. 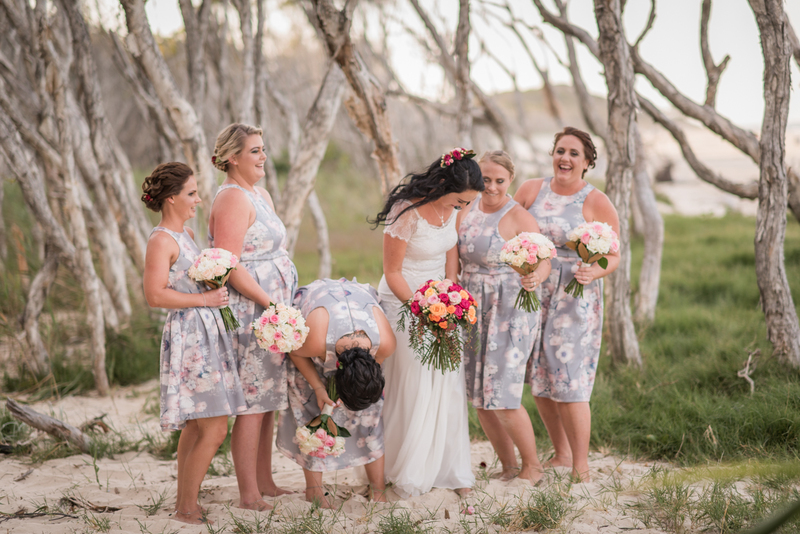 With our standard photography package we have found that up to 6 hours usually covers a Straddie wedding day perfectly – this allows us to capture some of the getting ready time, right through to your entrance into your Reception. I would like the Reception covered as well, will you stay for that? We sure can, additional hours can be added for longer coverage right into the night capturing all of the dance-floor craziness. Thanks for asking, yes we do. We would love to make a beautiful highlights video of your special day. When you book us to shoot your wedding we can combine our powers to also shoot video for you. Click here for a little look at a couple of examples. And here for a little more information about the video. I would like an album, do you do them? Of course we do, we would be delighted to design you a beautiful, lay-flat, keepsake, bespoke book to keep on your coffee table and to show all of your friends. I’m not so great at smiling or posing, how do I get around this? It is very important that you have an amazing day (the time of your life really) So we are very keen to make sure that your time with us is more then just a couple of hours having your photo taken, we want it to be fun, because when you are having fun, you look as though you are having fun, and this makes for awesome photos… that is what it is all about isn’t it. You are with your besties, looking hot, having a couple of drinks, watching everything you have planned for unfold around you, life is feeling great, things may get a little crazy and we cannot wait to capture all of the lovely, honest and spontaneous moments that happen throughout the day. 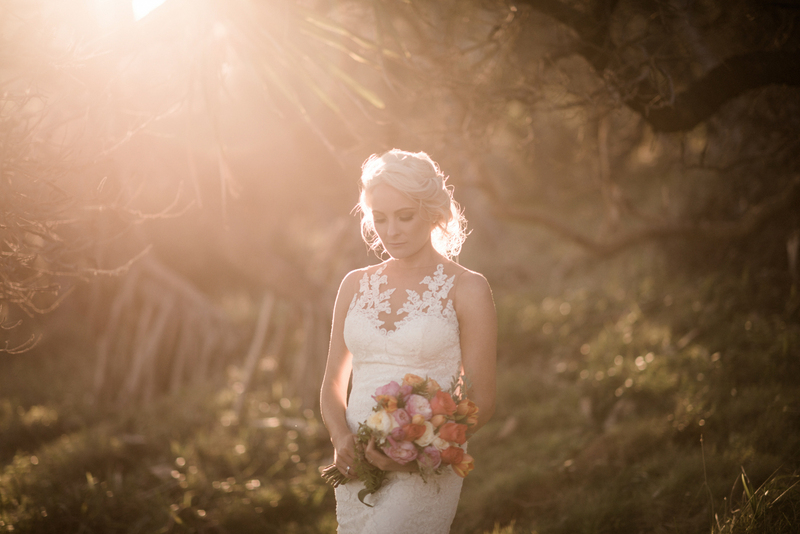 The best light for photographs happen in the hours leading up to sunset (you should really avoid the middle of the day) To work out your ceremony time find out when the sunsets and then make it about 3 – 2 1/2 hours before. This should give you enough time to be a teeny bit late, have your ceremony, get congratulated by your guests, have a group photo and your family formals and then about an hour’s worth of locations photos with your bridal party, catching that last bit of amazing light before heading off into your par-tay. If you mean unedited raw files, then no; the editing of the images is as much a part of the service as the actual taking of the photographs; and raw files are a very long way from the finished product. But what you do get is the high resolution JPG files of each of your edited images. Those are yours to keep; to email around the world, share on Facebook, Print up and hang on your wall. They’re your memories, after all. Do you know the best places for photographs? No, we will be fine, we can sort ourself out. Unless you have us covering additional reception time, then yes please. We put so much into the day that by the time the reception comes along we are almost done so the energy will be much needed after the big day we have had. 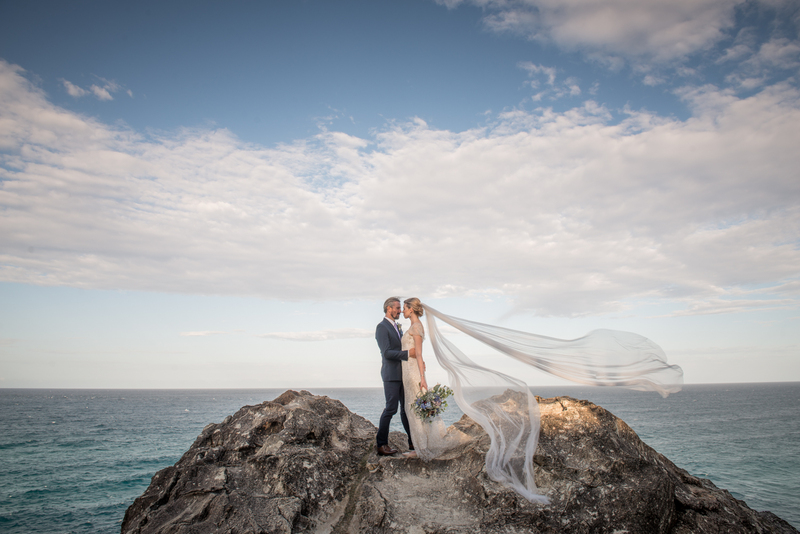 I know, not how you envisioned your Straddie beach wedding to turn out, but do not despair (we have this covered – literally) we have covered quite a few rainy weddings on the island (our own was absolutely torrential, so we know how you feel) at all of the different locations, We will get what we need of everyone undercover and then depending on how game you are to explore we can get out the umbrella’s and dance in the puddles, some of our most amazing images have been captured on wet miserable days, it is all part of the fun. When you are ready to lock us in, please supply us with both of your names and address and we’ll send out the paperwork for you to read through and sign, and give you our bank details so you can transfer a $500 non-refundable retainer. The final payments are due two weeks before the wedding – whether you want to sort them out months ahead, or the week before; we don’t mind either way. Please feel free to get in touch at any time with questions, concerns or ideas, we try really hard to answer our emails within 24 hours of them being sent (sometimes during wedding season it is difficult, but we will get back to you asap) We will be in touch in the weeks leading up to the wedding to organise a little catchup the day (or couple of days) before as well. We love connecting with our couples (some of our best friends we met when we covered their wedding… I know, I am still amazed!) it helps us create beautiful photographs and makes for a fabulous day for everyone.